700 Profit Club Review: You Need To Read This - $700+ A Day Is No Joke! 700 Profit Club Review: You Need To Read This – $700+ A Day Is No Joke! 700 Profit Club claims that you can make $700 in less than 24 hours after spending just 10 minutes setting up the system. This sounds too good to be true. Is this another scam? In my review, I will reveal all you need to know about this system whether you can make money with it. There are so many scams out there that it is hard to tell which products are genuine and which ones are there just to empty your pocket. I’m glad you’re here doing your due diligence. You may have been scammed before or lost money on products or services that fail to live up to their promises. If you’re fed up with being lied to and taken for a ride, check out the best way to make money online here. What Is The 700 Profit Club About? The Sales video guarantees that you can earn $700 each day – on autopilot – with their revolutionary system. It will only take 10 minutes to get started and have a fully functional money-making website that is set up by their team. That all sounds good but what is their revolutionary system? Digging a bit deeper, it’s nothing more than pre-built websites on a hosting platform. Basically what they are offering you is a web hosting service and the 700 Profit Club ‘team’ will build your websites for you. Even though the system is ‘free’, what you are actually paying for, is the hosting package. They have partnered with a hosting company called CoolHandle who will be hosting your website. Whoever is behind the system will earn a commission through your sign up to the CoolHandle platform. This is called Affiliate Marketing which is a great model for making money online. However, this is a very sneaky way on how the 700 Profit Club has done this. With Affiliate Marketing you will usually give a review of a product so that people can decide whether to buy it or not based on the review. 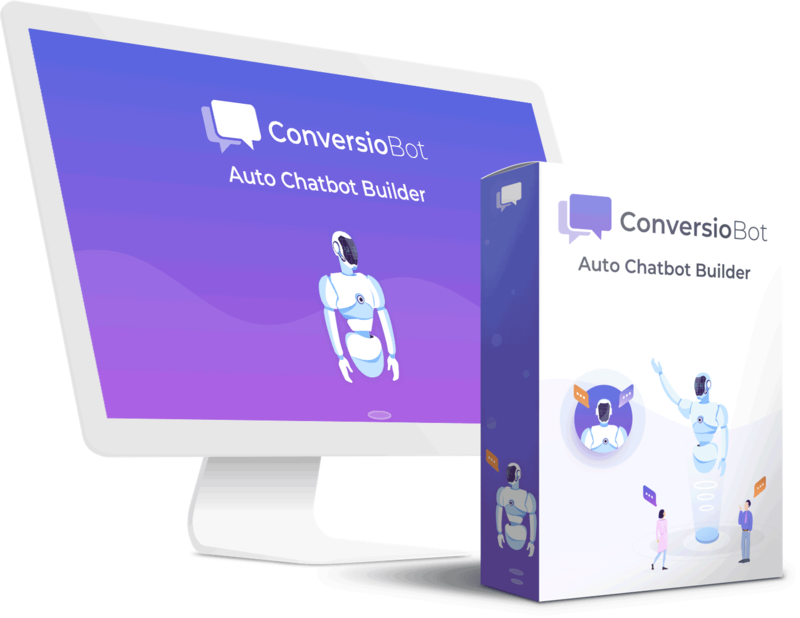 They have chosen the quick and easy method of trying to get you into signing up to their system – as being FREE – then get you to sign up to a product (CoolHandle) that they will make money off without EVER doing a product review. They even go as far as saying in their sales pitch that you don’t even need to know about this company. This is the wrong advice. Whatever company you use in your business, whether it is a hosting company a domain registration company a theme producing company, you should check them out before you sign up to them as they may be on the verge of bankruptcy, may not have great customer service, their product is not worth the price and so many different factors you should consider before signing up with any company. 1. Select your domain name to get your coolHandle Hosting Account OR you can register your own domain name. The cheapest package is the 12-month plan – expect to pay $167.04 for this. There are other items which, if you don’t know what they are, you may be tempted to add them to your shopping cart. Domain Privacy, Daily Backup and Website Security are checked by default. Website Security and Daily Backup options should be purchased as without website security your site will have a security threat message when someone tries to visit it. Backup is crucial as you don’t want to lose any of your work if the system were to crash. Domain privacy isn’t required unless you want to prevent people from seeing who owns the domain; it’s a way to protect your identity. Is 700 Profit Club a scam? The system uses the same tactics as a product I recently reviewed called Automated Income Sites. This product is also a scam. The model of paying for pre-built websites isn’t a new thing. Many people don’t have the time to create their own website and want something that has already been built that has been optimized, will rank well, uses keywords etc. There are businesses that actually build and sell websites. The difference here is that the rights of the website is handed over to you. You also get statistical information such as what keywords are being used, how well they rank, what the site could be worth to you and so on. These sites have been built by professionals who have taken the time to carry out research so you don’t have to. You will, however, need to maintain the website by writing more content to keep it up-to-date. These websites could cost $1000’s but they are worth it. 700 Profit Club websites are not built in this way. There is no way that you can earn money from a site that is pre-built in a matter of minutes. Having a website alone will NOT make you money. A website is the foundation of your business. For your website to earn you money, you will need to drive traffic to it through SEO or paid methods. As a beginner, SEO is the best route to take as it saves you money and it’ll work for you for years to come if done rightly. Having the right keywords is also critical for driving traffic to your site as it is these words that people are keying into the search engines to find information. If you get the keyword right, then your content will show up in the search results – which means people visiting your site. 700 Profit Club does not give you this. Can you see now why it won’t work for you and you’ll just be spending money and not seeing any results? What they do is start in the middle, which is certainly not the way to go about building a successful online business. This will only lead to failure. How to do keyword research PLUS a lot more teaching and training. You can find out more about this platform by clicking the button below. The great thing about this is that you can test drive it for FREE. No credit card required. You can then upgrade to a month by month membership package or go yearly. Click on the button below for more information. Again, let’s get back to why the 700 Profit Club won’t work … if you’re still not convinced. So without SEO, you will have no traffic (people visiting your website). You want people to come to your website as they are your potential clients. However, as your websites are pretty much pre-built for you, who’s to tell that this isn’t a rehashed copy of an existing website? It more likely is as to create a proper website for 100s, if not 1000s of members will require time and effort but they see to create it ‘on the fly’ when you join so you can see that not much effort or thought has gone into this. Copied websites and duplicate content will only get you penalised by Google, Bing, Yahoo and the other search engines. Your website won’t even get a peep in from visitors. Are you willing to take the risk of parting with $150+ only to find that it’s money down the drain? I think I know the answer. If you are new to building an online business, having a website with no training will get you nowhere. The best way to build a sustainable online business is to do some training. In fact, most people get ahead in life by continually investing in training. Even the top guys like Richard Branson, Tony Robbins, Alexis Ohanian (Serena Williams’ husband), Neil Patel and many others keep up-to-date with their training schedule as they know how important it is to do so – methods change, systems change, technology advances if you don’t keep abreast of things, you will be left behind. I was glad that I came across a training platform which I will introduce to you shortly. But, let me tell you how I found it. I was searching for ways to build an online business, like how you searched for reviews on the 700 profit club and landed here on my site. I landed on a site that had a review of the training platform and as it was free to try, I thought I would give it a go as no credit card was required. If you want to be trained properly on building an online business that is scalable and will allow you to diversify into other areas, then this training platform will offer you this. Click the button below for more information about the platform. No auto-pilot system can make you money online. You need to work hard. There are lots of negative feedback concerning CoolHandle. Limited time offer – to get you to sign up quick. Lots of complaints from customers of CoolHandle. I certainly do not recommend 700 Profit club as you will not make money from this scam. The only people to make money are the people promoting it – whoever they may be. Making money online isn’t as easy as how they make it out to be; I’m going to be honest with you – It takes hard work, patience and committed. Those who are in it for the long haul are the winners. Those who are looking for get-rich-quick schemes or products that promise huge sums of money without lifting a finger are looking at immediate results to satisfy themselves. They may get the satisfaction they are looking for but at a huge cost and it’ll soon dwindle away. People who are serious about building an online business are looking for sustainability and a business that will give them a passive income for years to come. This is a much better outlook! Once you have put in the hard work, you can then expect to see the income come in when you’re sleeping, when you’re away from the computer, on holiday and so on. That’s the business model that I want to show you only if you’re serious about making money online. If you haven’t got the time or are not willing to put in the effort, then this won’t be for you. As I said before, making money isn’t as easy as how some of these scammers make it out to be but it can be done if you have the proper training and support. I have been online for a number of years; I was paying huge amounts to others to help set up my site until I came across the training platform I now use. Looking back I know that I wasted a lot of money as building a profitable website can be achieved by anyone. You too can start to build your own site. Why not take control of your own destiny and stop paying others? If you’re smart and willing to work hard to achieve your dreams of making money online, check out the platform I recommend which has a free trial where you get 10 video-based lessons on how to set up your online business. This alone is worth more than the hosting fee that 700 Profit Club is asking of you. If you want more details on this program, click the button below where you will be taken to a review of the product and how to become a member. I have included a Comparison chart so you can see at a glance how the two products fare side by side and which one offers more value. Stop wasting your time with these products and services that promise you the world, are misleading and leave you frustrated and disappointed. It’s time for you to take matters into your own hands. Go on, build yourself your own profitable business, like I have done! In the meantime, if you have any questions or comments about this 700 Profit Club review, please feel free to leave them below and I will get back to you. Automated Income Sites Review: A Scam Or Make $1K+ Each Day?